I received an advance copy of this book from Netgalley. I have a confession to make - I was scared to read this book. More often than not, I find the 2nd book in a series to never live up to the first book and considering how much I loved The Siren, I was hesitant. I didn't want the love I felt for the characters to be diminished.I have another confession - I was stupid. This book. THIS BOOK! I said this on twitter already, but how do I review a book that managed to take every feeling I've ever had about anything ever and make it feel new again. How do I describe the expressions on my face or the flutters in my heart or the tickles in my belly or noodling in my legs when things got unffy -- because there was definite UNF. But there was so much more.Picking up a little over a year after The Siren ends, The Angel is a story of truth and discovery. Every "preference" I thought I had -- who I loved the most, who I wanted together, all of those things were rocked by this story. I still love Nora more than is probably healthy, but I love Soren. And Kingsley. And Griffin. And Michael. I even love Nora's mother.I'm gushing. I know this, but when a book, a story, a world is this grasping...I don't know if it is possible for me to compartmentalize the qualities in a succinct, organized review. I want to make everybody I know read this book. 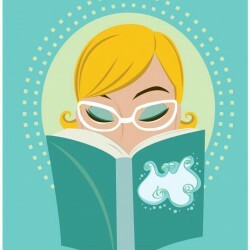 I want to walk around with a sign that says "Ask me about the book I just read!" 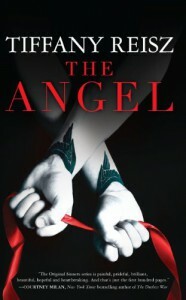 I want to reread it already and I just finished it this morning.I've told a few people that TS has been the best book I've read this year...I'm adding The Angel and saying that this is the best series I've read this year. Books like this one remind me why I love to read. And there's more to come...Is it November yet?